I have always wanted to eat at Applebee's but have always been afraid that it might be too pricy for my budget. 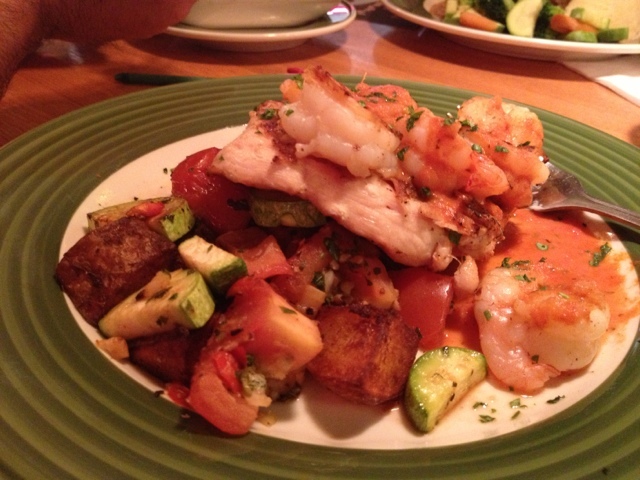 Last week, I braved the doors of Applebee's and dined in for the first time. I was surprised to see that the price list of Applebee's is almost the same as that of Fuddrackers. Good thing. The only thing that is left for me to discover was the taste. The ambiance was not different to those of the usual Steakhouses in town. For the kids, I have decided to order the kiddie pasta with white sauce. The kids' meal includes the main dish, drinks (juice, cola or milk) and sundae (wow!). The cost is very affordable, as it was only AED20. 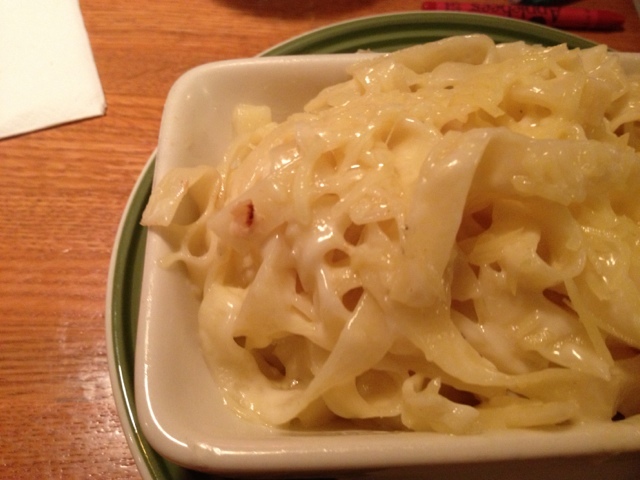 Taste wise, it was yummy and my kids loved it till the last pasta strand! 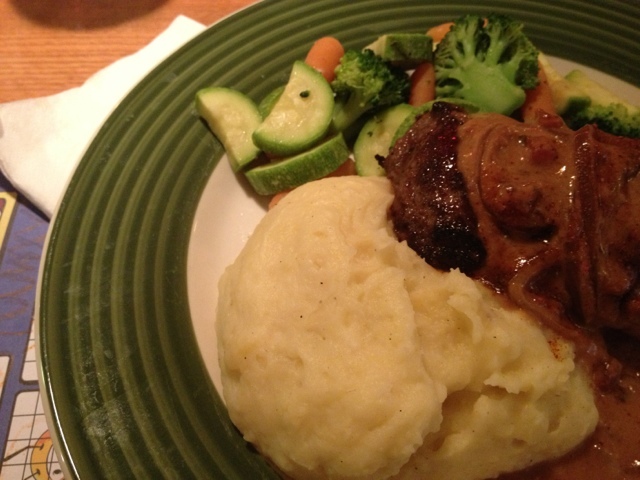 For me, I ordered this steak with mashed potato. Excuse me for describing this as only steak with mashed potato, as I totally forgot what this was called, haha! Anyway, I ordered it medium well and they cooked it for me just the way I liked it. Yummy I should say, but they did not have the steak sauce on the table unless you asked for it. 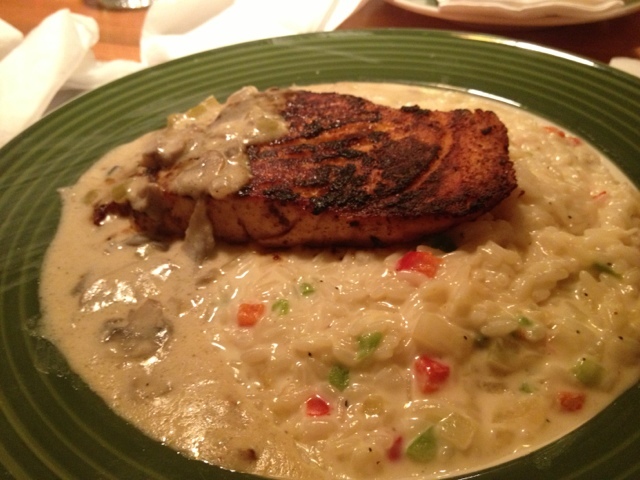 My friend ordered this grilled salmon with rice. The salmon was a bit dry, but the rice was delicious. It was very creamy and the rice grains were firm. This chicken with shrimps was okay. It wasn't the tastiest chicken I have ever had, but the shrimps were fab! This was the sundae from the kids' meal. We ordered strawberry and they gave us an extra Oreo sundae for FREE! The service was also great and fast. Every now and then a staff would check on us if we needed anything or if the food was okay. Take note that Standard Chartered card holders also have a 20% discount for bills above AED 250. 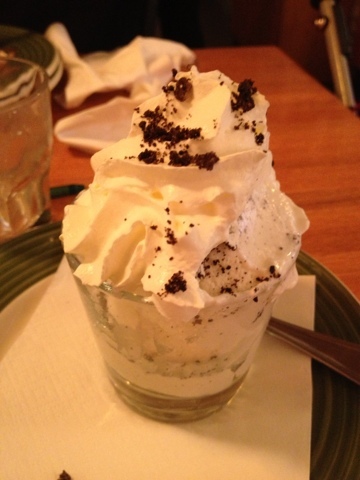 Aside from Fuddrackers, we will now go to Applebee's as an alternative as my tastebuds are already getting tired from Fudds.